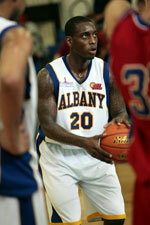 Defending champion Al Nift Baghdad (IBL) inked 23-year old international forward Ali Ismael (199-80kg-94). He has played for the last four years at Al Shurtah. Ismael helped them to make it to the final after they ended regular season as second best team. 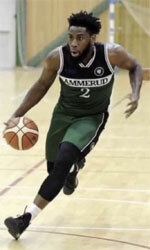 A very good season in his career as he was voted to Asia-Basket.com All-Iraqi League 2nd Team and All-Domestic Players Team. He won Iraqi League championship title in 2015. Ismael has been also a member of Iraqi international program for some years. He has regularly played for Iraqi senior team since 2011 and previously for U18 National Team back in 2010. Ismael represented Iraq at the FIBA Asia Cup in Lebanon last year. His stats at that event were 4 games: 5.5ppg, 3.5rpg, 1.0spg, FGP: 44.4%, 3PT: 37.5%, FT: 62.5%. Ismael has played previously for two other teams: Al Karkh and Duhok.